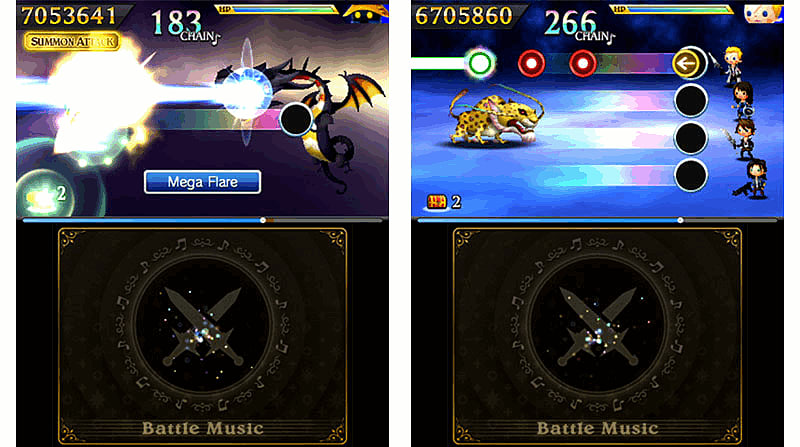 Expanding on the original rhythm action game, Theatrhythm Final Fantasy: Curtain Call brings you over 200 classic Final Fantasy tracks to tap and swipe too. 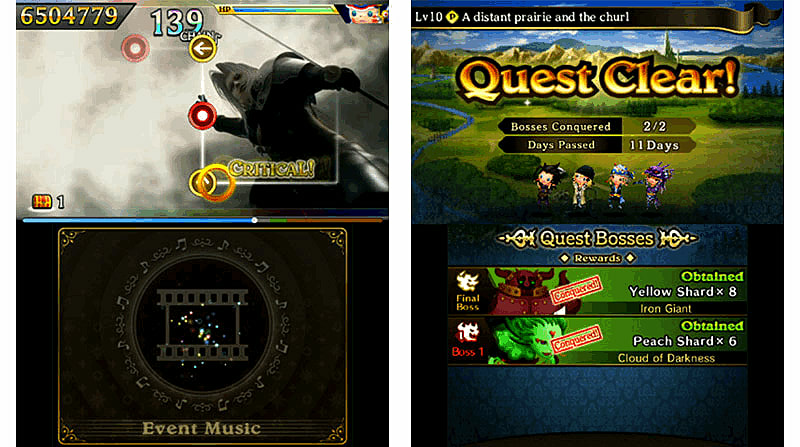 Play as 60 adorably stylized Final Fantasy characters in a variety of game modes. 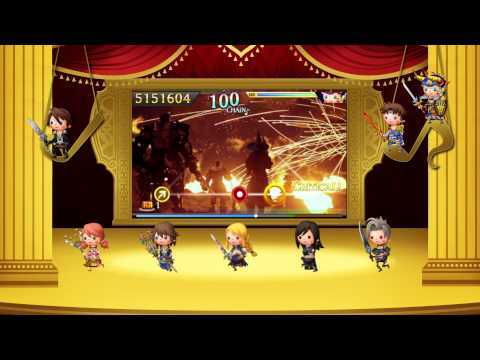 Theatrhythm Final Fantasy: Curtain Call features content from more recent Final Fantasy entries such as Lightning Returns: Final Fantasy XIII and Final Fantasy XIV: A Realm Reborn. 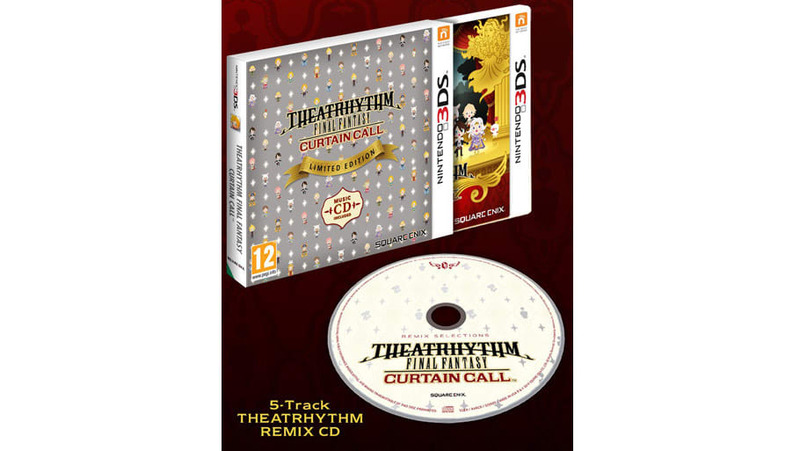 A sequel to the first FINAL FANTASY rhythm action game released in 2012, THEATRHYTHM FINAL FANTASY CURTAIN CALL expands on the original in every way with new gameplay modes, over 200 songs, and 60 playable characters. Featuring music that spans the full breadth of the storied FINAL FANTASY franchise, players tap along to the memorable beats and harmonies as the adorable, stylized characters battle and quest through their worlds. 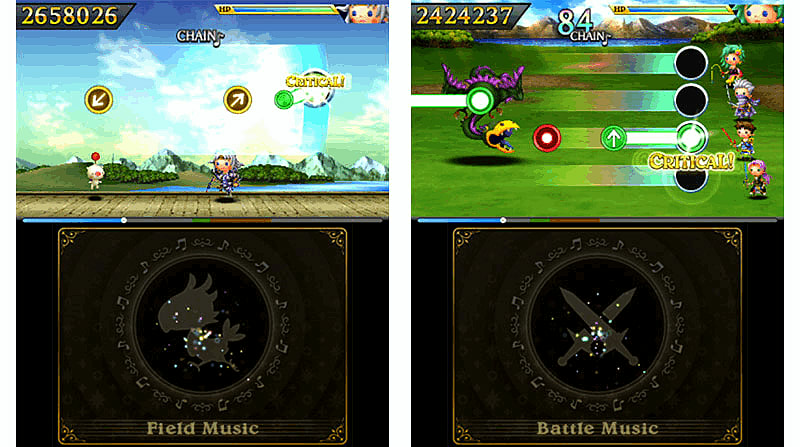 The music of over 20 titles is brought together in one package, fusing together the moving scores, cinematic visuals, and role-playing elements the series is known for. New content takes center stage: Includes songs and characters from recent releases including LIGHTNING RETURNS: FINAL FANTASY XIII and FINAL FANTASY XIV: A Realm Reborn, to classic fan favorites such as FINAL FANTASY TACTICS and FINAL FANTASY VII: ADVENT CHILDREN. 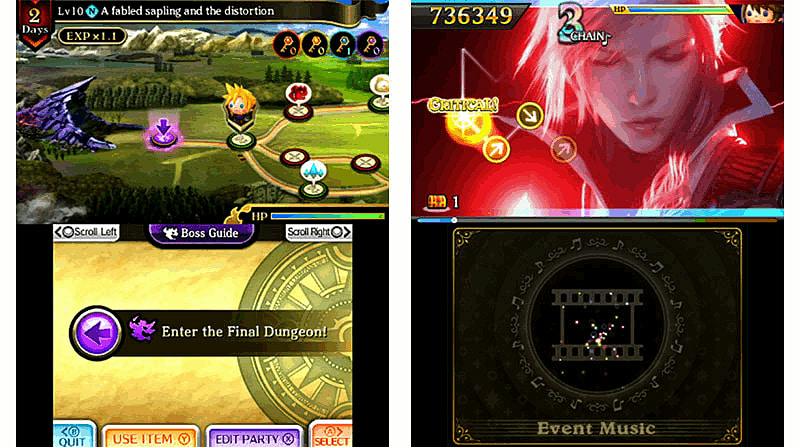 More ways to play: All new gameplay modes include Versus Mode where players can go head-to-head in screen-tapping action, as well as Quest Medley, where players customize a party of their favorite characters to take across fields and into dungeons for music-based battles against series bosses. 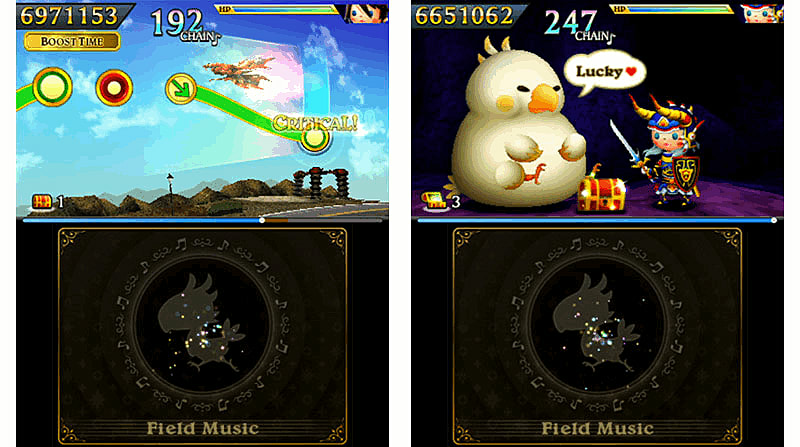 Unlock FINAL FANTASY: Gather Rhythmia to unlock new characters, songs, and collectible cards, which can be used in the all new Collecta Crystarium to power up your characters’ stats.